10/18/2018 3:35:00 PM - Education Dept. 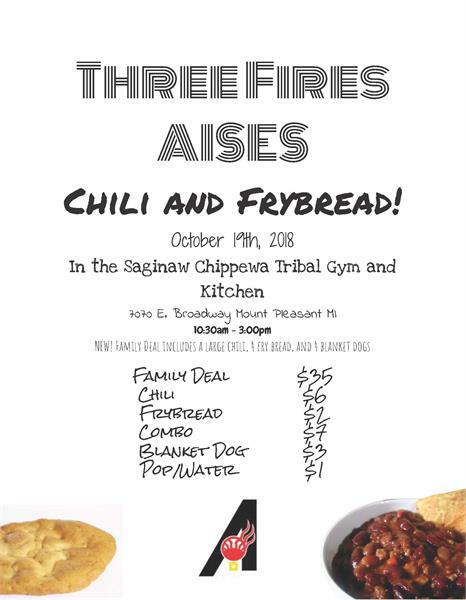 The CMU chapter of the American Indian Science and Engineering Society, will be having a chili and fry bread fundraiser tomorrow at the Tribal Kitchen October 19th starting at 10:30a.m. till 3p.m.